No one understands food enough to be benefited by it. Everyone is just after taste and that is the only quality of food that is being 'synthesized' by the food industry. I say synthesized because the food ingredients are first stripped off their natural nutrients so that they look good and do not get rancid on the shelves for months, and then the ingredients are 'conditioned' to behave in a certain manner to make smooth looking cookies or bread loaves or ice cream or yogurt or whatever processed food it makes. Some preservatives and some taste enhancers, some texture conditioners, some anti oxidants and some synthetic nutrients (laboratory made) make the packaged food. The soul of the ingredient is stripped off first, and then it is made to wear fashionable clothes so it can attract you and me on the supermarket shelves. That is how we understand food in modern times. Who is getting benefited by this food, not the ones who eat it definitely. Home cooked warm food is a comfort one cannot get in packets of convenience. Ingredients should be packaged practically I feel, with recipe suggestions and alternatives too. Add a sprinkle of gluten intensified breads, crackers and decadent cakes to the convenience foods and it makes a disaster story for out GI tract. Why we are so dependent of wheat and just one variety of rice? 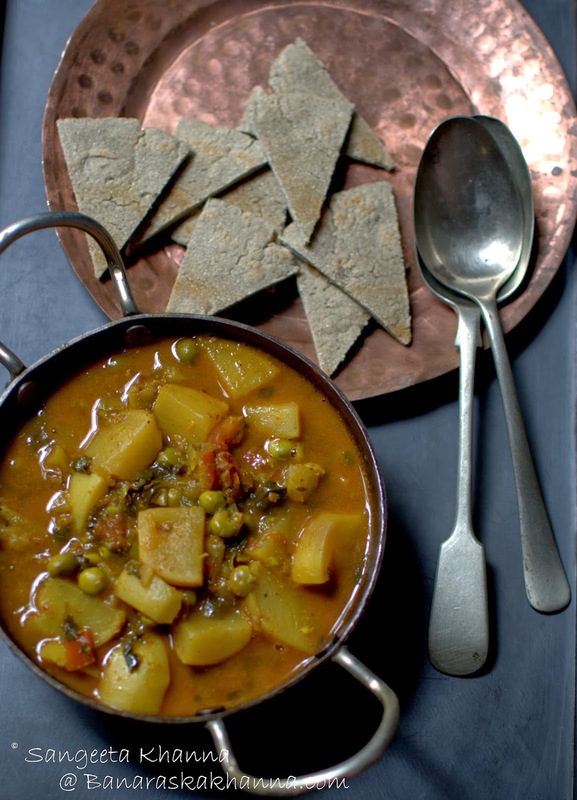 Why not the grains and lentils we knew as gaon ka khana (rural food) when we were kids? The same has become exotic and highly revered by a few handful lot, it still is not 'convenient' to the common man who works the whole day and has little time to cook a decent meal. Someone was complaining about how she buys all sorts of ragi, amaranth and jowar but it goes rancid somewhere in the back of her kitchen shelf as she can't use in for her everyday meals. Yes I did tell her to read my blog and she mailed me back after a fortnight thanking me profusely. Later, I was talking to someone how we can make a reservoir of simple homely and exotic recipes using unconventional flours and grains so that people are not afraid to use them for everyday meals. The idea came after I heard someone else who felt amaranth flour must be tasting foul so we need to mask it with dark chocolate. I was amazed at the ignorance and resolved to do something about it. I keep cooking and baking with all alternative flours, which have become 'unconventional' because no one really wants them in their everyday meals. Or no one is really bothered as 'convenience foods' out of a packet has become a lifestyle. So there is no demand, the farmers find it hard to sustain when they grow millets, buckwheat, and sticky rice and they are tempted to grow the cash crops. Monoculture of wheat and basmati rice is killing the biodiversity, making people sick with gut issues and metabolic syndrome when coupled with other issues of modern lifestyle. Don't get me started on unusual greens that grow wild in our gardens and roadsides, packed with nutrients and are better than the most good looking lettuce that we get from the supermarket. I am already working on making a reservoir of recipes using unconventional and alternative flours and unusual greens, native vegetables and fruits so people know more about them, and try and taste them, creating a demand in the market, making the farmers grow them more. I started asking for chane ka saag from my local subziwala and he really started bringing it, the chain will go back to the farmer definitely. But here at this point, I feel technology also can help in a way. I was at the indiblogger meet recently where they encouraged bloggers to suggest app ideas. 'Your wish is my app', is a NDTV show by Nokia and the second season is about to start. The hosts of this show were a part of this Indimeet and we were enthralled to see how apps can really change the way we see things, or the way things operate. The charming and ever so funny Chef Vikas Khanna talked about how food connects us and gave a few app ideas about how one can create alternative recipes from the same set of ingredients. Rajiv Makhni, the Gadget guru kept the show a live wire while Vishal Gondal made fun of every app idea. You get the picture? An app can help in preserving the biodiversity and making lives healthier, farmers happier and environment more sustainable. But how? I would like to start with the consumer end. Make a reservoir of everyday homely recipes, both simple and exotic foods made using a myriad variety of Indian millets, sticky rice, unusual greens, native vegetables and fruits and make them accessible to each cook who wants to cook something with them. The app would make use of the reservoir or recipes and would suggest easy cooking ideas depending on available time and gadgets using alternative flours and grains, native vegetables and greens etc. 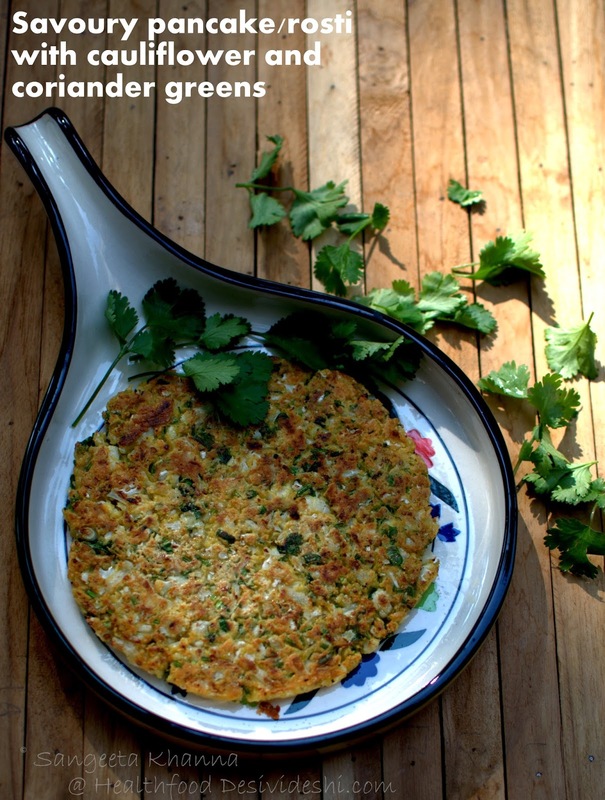 So if someone had some makki ka atta and wants to cook an exotic dinner for the family making use of her oven, the app would suggest a cornmeal based quiche that the family might like. All on the phone that fits the cook's pocket. 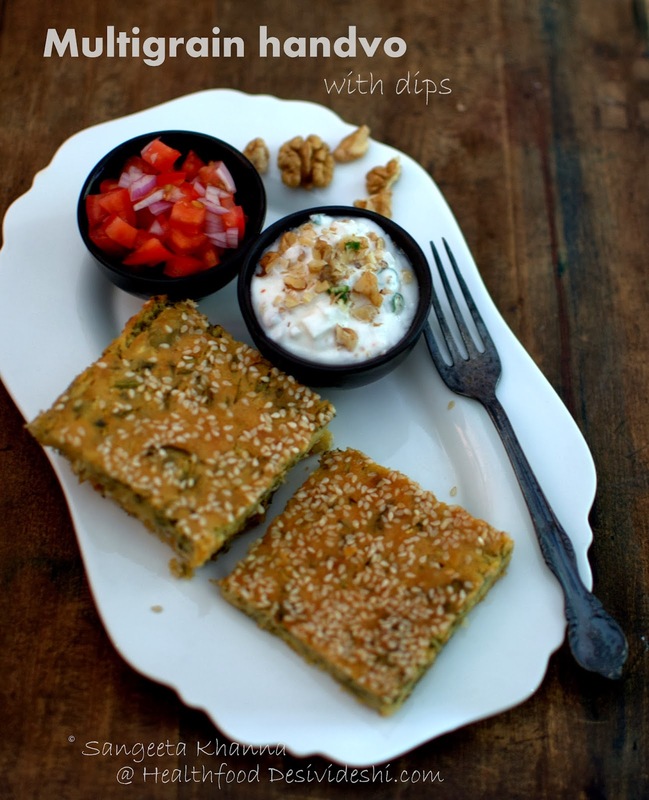 Or if a parent wants to cook something tasty for the family using buckwheat and doesn't know where to source it, the app would tell her the nearest location or Rupak store or Navdanya store and also a recipe of buckwheat English muffins. 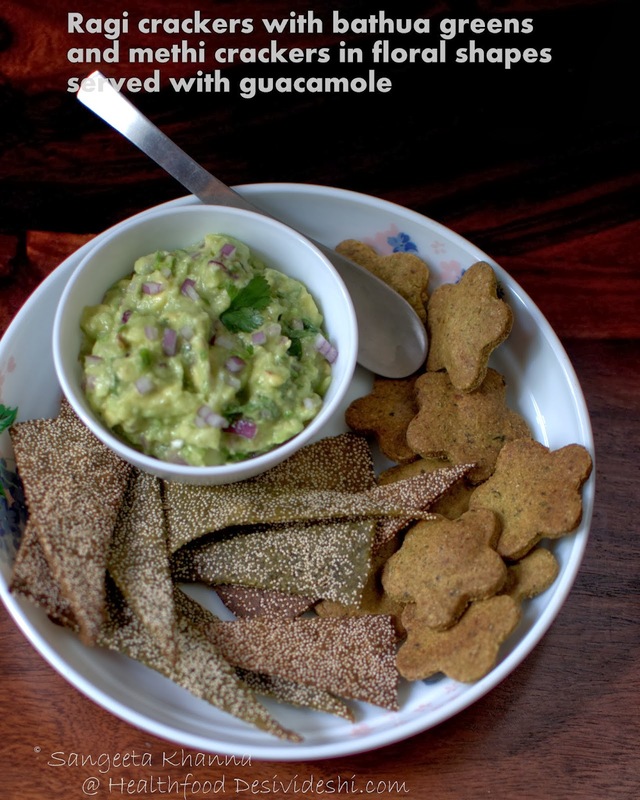 Here is another recipe using ragi crackers with bathua greens and poppy seeds that the app could use in it's data base. Not a recipe that needs much expertise, anyone who can roll out rotis can make these crackers. Knead a stiff dough by mixing everything except the ghee. Make small balls out of the dough and roll out rotis, using poppy seeds as dusting flour. Cut out triangles of your desired size, lay on a baking sheet greased with ghee or sesame oil and bake at 160C for 20 minutes. Cool down on a wire rack, bake again if you feel they are still not crisp. Store in airtight containers for a month. 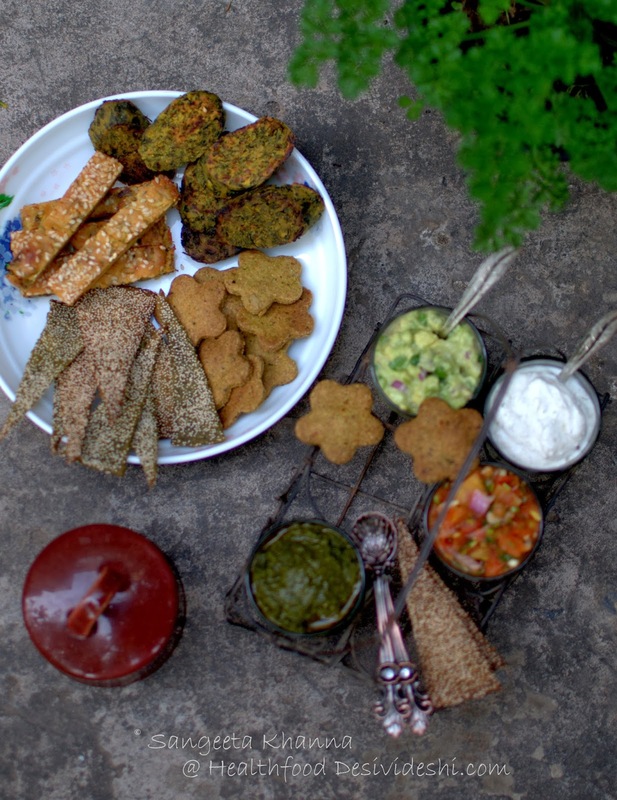 The recipe of floral methi crackers will be shared really soon. Need more recipes? Yes this blog is there and may be the new app makes it easy for you. Sangeeta u r so right...when people were eating simple gaon ka khana there were less health issues...otherday I was reading somewhere that our bodies were not made to eat 21st century food. But once simple & easy ingredients have def. become exotic food for todays' world. Though I use ragi, bajri,Oats, corn meal & brown rice other then wheat but still there are so many other grains which I don't use & keep thinking about using. I guess adding one new every month should not be very hard. Crackers look good....I was about to make mathi's today but didn't made so may be instead I'll try one of these. You are so right.Ultimately demand creates supply.There is a big movement worldwide to depend nd promote local food!the crackers look great.It is just a matter of time that people will come around! Dear Sangeeta , I look forward to the posts where you have made something with an 'alternate flour' or a new green.I am so happy to see a small but a steady growth in interest to cook with an entire spectrum of flours instead of just wheat. I too have been experimenting with 'desi ' flours , as I like to call them. It is challenging to cook only with gluten free flours and resist the temptation to throw in some wheat flour but that is what I would like to get confident with and the app that you mention would be such a great aid. would love it if you could do a post on the proportion of raising agents that one should use when cooking with gluten free flours. how does it compare with when cooking with wheat flour ? Will definitely write a post about how to use alternative flours for cakes and other baked foods. Stay tuned. Bookmarking the whole post. Recently, inspired by one of your older recipes that you had shared with me once, I had multigrain dough in the fridge. I baked them into baked crackers. 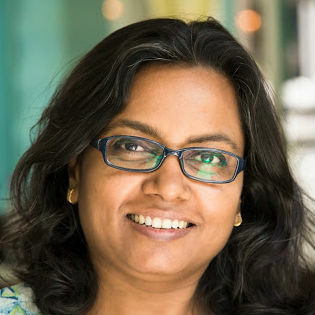 hey Sangeeta ji! great inspiring blog. 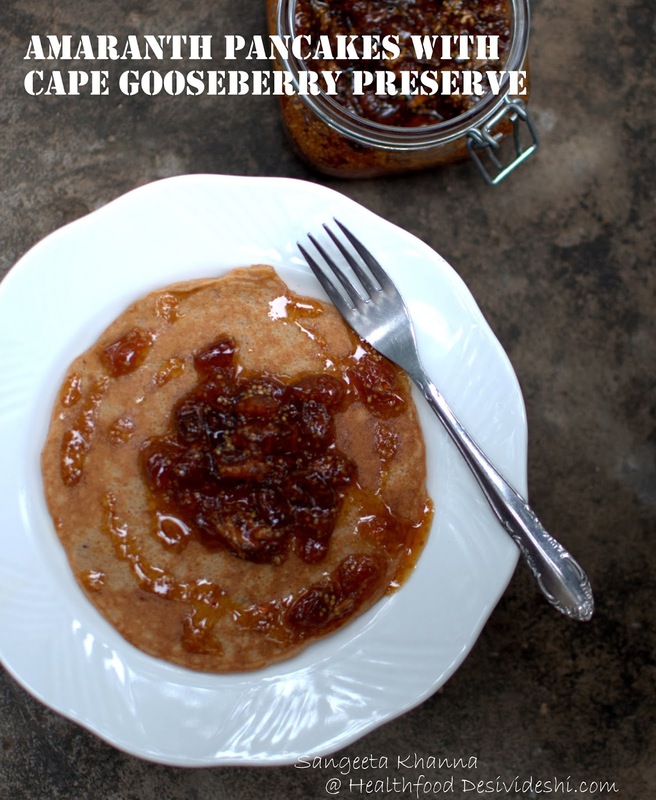 could you please share the recipe of the gooseberry preserve. We try to eat less sugar and would really love to make some. Do you mean the amle ka murabba Taru? Been a long time since I made amle ka murabba but I do make a preserve with amla which is more like a jam. Would try and post that soon. Has the app been launched and what is it called ?